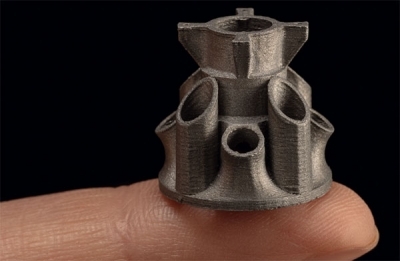 HP’s Director of 3D Printing, Lee Dockstader outlines 3D printing opportunity in healthcare. Companies like Invent Medical are using HP’s 3D printers to create new types of medical devices. Image courtesy Invent Medical. Additive manufacturing is rapidly being adopted in the healthcare sector. A Fact.MR report predicts that the global market for 3D printed medical devices could reach revenues of more than $1.7 billion by 2022. QY Research puts the global 3D printed dental market alone at $260 million in 2018, reaching $930 million by 2025. 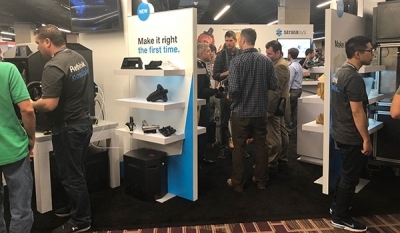 In 2018, printer giant HP announced new and expanded installation of its HP Jet Fusion 3D printing solutions, and has specifically targeted medical (along with other verticals) in an its efforts to grow its additive manufacturing business. 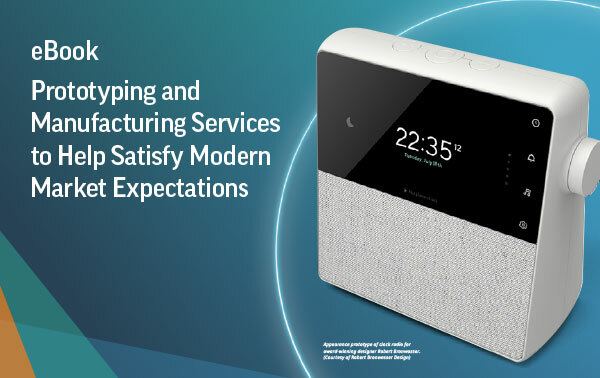 Digital Engineering spoke with Lee Dockstader, director of HP 3DP, to discuss the opportunities the company sees in the healthcare sector. Q: What are the key use cases and markets in the healthcare sector when it comes to additive manufacturing? A: Healthcare represents an enormous opportunity. There are more custom medical devices made per day using additive manufacturing than all of the industrial printed products in the world combined. The biggest one is orthodontics, along with hearing aids, orthopedics, and dental applications, with between 400,000 to 500,000 parts printed per day. 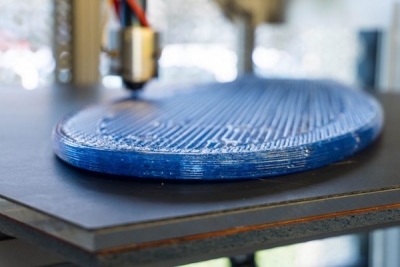 There has been a convergence of things that have caused 3D printing to go mainstream. There is wider use of CT scanning and medical scanning, along with enhancement sin software and cloud-based technology, combined with the drop in price in the equipment. We’re working on lowering the cost per part and making the technology easier to access, which will drive adoption up. One of the applications that is poised to go mainstream is prosthetic socket creation. Instead of buying $30,000 software and scanners and CNC machines, you can take a $500 scanner and some cloud-based software, scan an amputee’s stump, and then design a socket using cloud-based software that doesn’t look like a CAD system. You send it out to be made regionally or locally, and it should fit the firs time and cost less. We see that kind of convergence of software, materials, machines and cost unlocking new applications. HP has even launched a footwear solution, FitStation, with a consumer interface and a pressure mat that is being pilot tested right now. Q: How challenging is it for medical device manufacturers to adjust to the requirements of additive versus traditional manufacturing? A: It really depends on the software and the end-to-end solution. With hearing aids and dental applications, they really have an end-to-end solution now, and those industries would not have matured without that. The same thing is happening in prosthetics now. 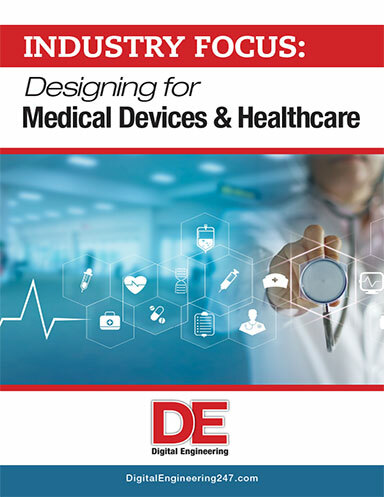 You can also pull a scan into CAD software and have an aerospace engineer design your prosthetic, but there is software now that is specific to particular types of medical devices and is designed for people in those industries. A good example of that is Invent Medical. They’ve got an improved cranial remolding helmet. They’ve designed this shell with tons of holes and a 3D mesh inside. There’s no way to manufacture those other than with 3D printing. They use software that specifically created these products to be 3D printed, and that’s really where some of the breakthrough stuff is coming from. Q: How is 3D printing being used inside healthcare facilities like hospitals? A: That’s 3D printing at the point of care, and it’s a fast growing area. In the U.S., there are already 100 hospitals doing this. 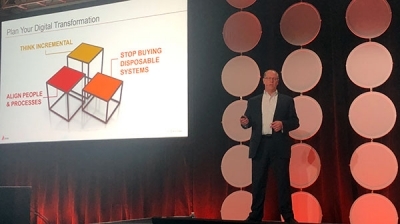 Most hospitals don’t print medical devices, surgical guides, spine spacers, and products like that; those are left to medical device companies. However, they are printing anatomical models, practice models, some guides, and models that can be sued for patient education or communication with a surgical team. We are test marketing an application with some hospitals for our new Jet Fusion five-color printer. It’s a nylon sintering machine with color that can create vascular structure models with no supports. You can make things with that printer that you couldn’t make on another machine. Q: How are providers paying for these types of systems? Can they be reimbursed through insurance? A: I saw a presentation by a neurologist at the Mayo Clinic (Dr. Jonathan Morris), and he said that they eat the cost of making the models, but they don’t make models for everything. If they need to determine how they are going to access a tumor, for example, they can make a 3D-printed model to decide how to do that. That might save two days of ICU time for the patient. They do it when it makes sense and they know they can save money and have better patient outcomes. There’s now a reimbursement code for anatomical models, but the industry is doing studies and working on evidence-based justifications for using the technology. Q: Where else do you see applications or opportunities emerging for 3D printing in healthcare? A: Medical insoles is just about expand, and that will disrupt podiatry. Prescription eyewear is another one. If you have iPhone 10 with a face scanner, you can try one frame and if they don’t’ fit you, you can have them 3D printed for little or no extra cost. 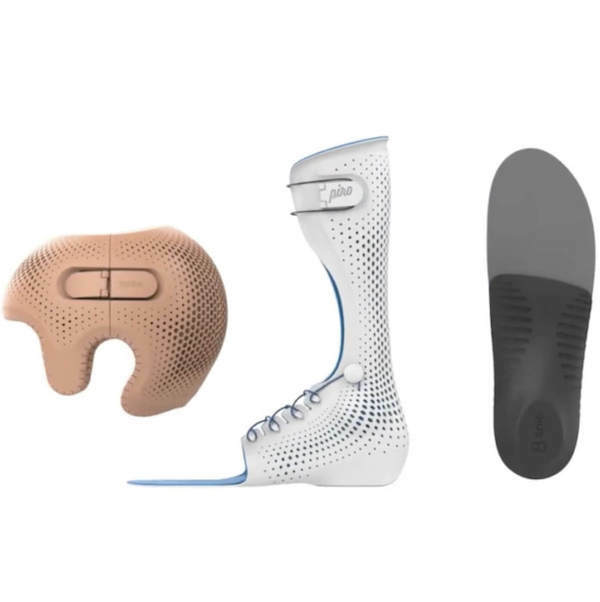 We see all sorts of orthotics, ankle braces, insoles, helmets—things that have traditionally been hand fabricated—that can be manufactured with affordable nylon printing. Again, it’s the availability of new scanners that are helping make this possible. 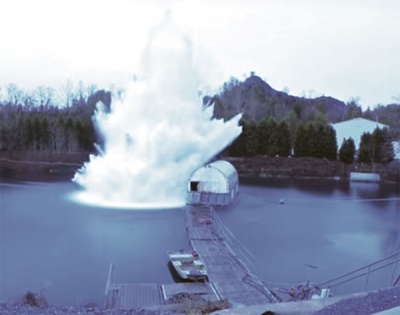 It’s very cool to see this technology make it into market and into production. 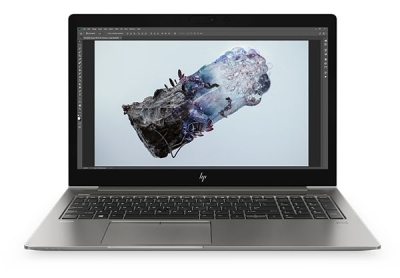 It fits with HP’s overall mission to use technology make lives better, and we’re seeing that now in medical and dental applications.